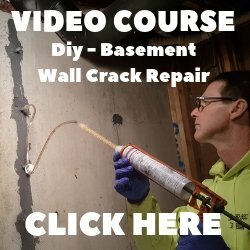 These techniques for waterproofing basement floors are for basement floors that are just damp or moist. If your basement floor has standing water or puddles, click on BASEMENT FLOOR WATERPROOFING for two methods that will fix a really wet basement floor. If your basement floor gets damp when it rains, in the spring, or is damp all year long there is one company that has a way of waterproofing basement floors and walls that might be just what you're looking for. This company is called RadonSeal. They have a wet basement floor sealer that will work on old or new basement concrete floors and walls. RadonSeal's basement waterproofing sealer penetrates deep inside the concrete (up to 4 inches), and chemically reacts with the lime and alkali in the concrete. The sealer forms a gel and expands inside the concrete filling all the microscopic pores and cracks, it then hardens as a mineral. This seals the concrete internally against water, water vapor, and even radon gas. The penetrating basement floor sealer combines concrete waterproofing, damp proofing, dust proofing, concrete preservation, and radon mitigation all in one product. 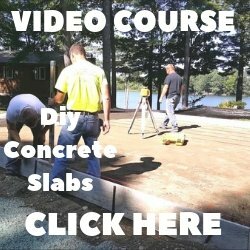 By working inside the concrete, the sealer doesn't leave any color or film on the surface. The internal waterproofing seal is permanent and has no chemical solvents or VOC's. This waterproofing concrete floor sealer can be sprayed on or rolled on, making it easy to apply yourself. The sealer can be used on poured concrete, concrete blocks, mortar joints in blocks or rock wall foundations. As with all waterproofing concrete floor coatings or sealers the key to success is in the preparation. Cleaning the basement floor from all dirt and dust is a must. Removing any loose material from cracks and patching the wide cracks is also very important. Click on EPOXY CONCRETE REPAIR to learn how to patch cracks in floors. RadonSeal's waterproofing concrete floor sealer can be applied by yourself. Check it out, I'm sure you'll be satisfied, this is the only sealer I use on my jobs. You may be able to save a lot of money if you're willing to invest the time to do it yourself. Having a damp basement floor will eventually lead to mold, mildew, and fungus problems in your basement. Keeping your basement floor and walls dry will help fix these issues and may even increase the value of your home. Here's a video showing how easy RadonSeal's waterproofing sealer is to apply.